The trails have been groomed for possibly the last time this year. There is a good base but the weather is changing. Rain and warm temperatures this week and next week are predicted. A big thank you to all that have taken the time to groom and maintain the great trails around Price County. Snowshoeing, fat biking and skijoring is allowed on some trail systems during cross-country ski season. However, trail managers ask that these trail users stay off of the classic tracked portions of trail. Thank you! is 15 miles long with loops and trail links. 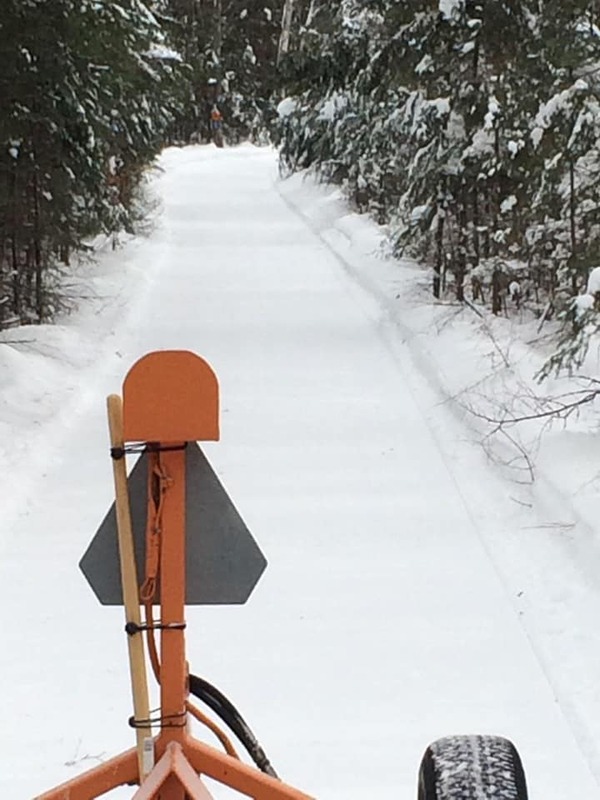 The ski trail has been groomed for skate and classic cross country skiing on Monday and Tuesday March 11th and 12th (a 2 day process). Because of the rain received this week the trail will be icy. 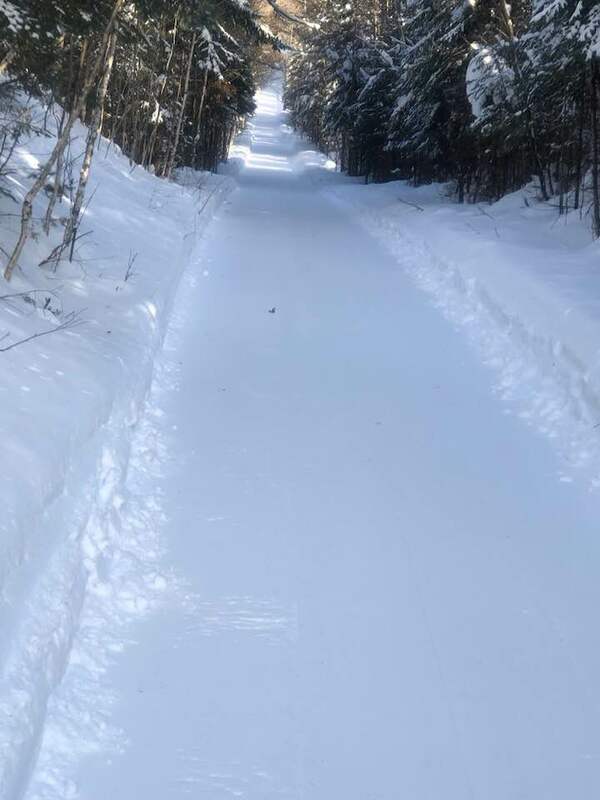 The Squaw Creek/Holy Cross trail was groomed and tracked on Sunday, 3/10/19. It is in excellent condition. 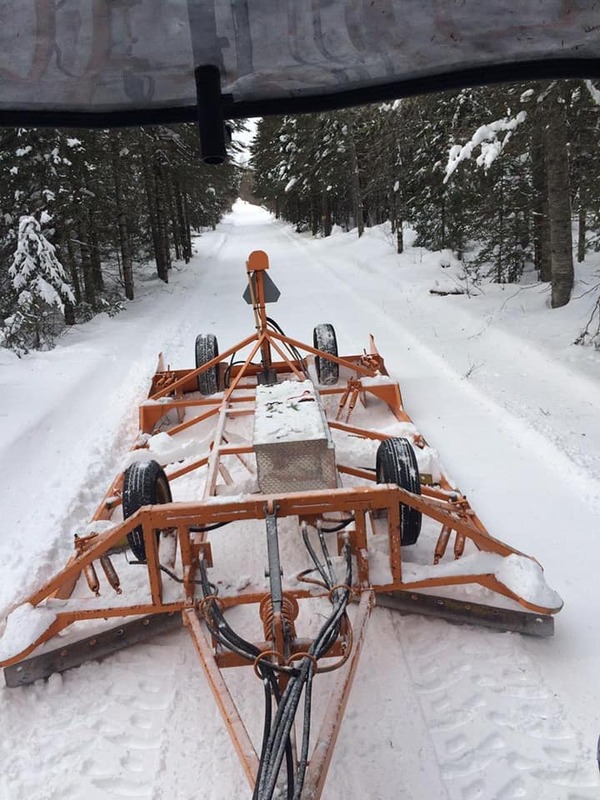 The Holy Cross Ski Trail was groomed and tracked on Monday morning, 3/11/19. The trail is in great shape. Get out and enjoy the snow before it's gone. The Ski trail was groomed today and tracked today, Conditions are good. The Single Track Most of the single track trail system was groomed on Monday, 3/4/19. They are in great shape for fat biking and snowshoeing. The "C" loop (Yellow Loop) is no longer being groomed this year due to snow depth and limited use. 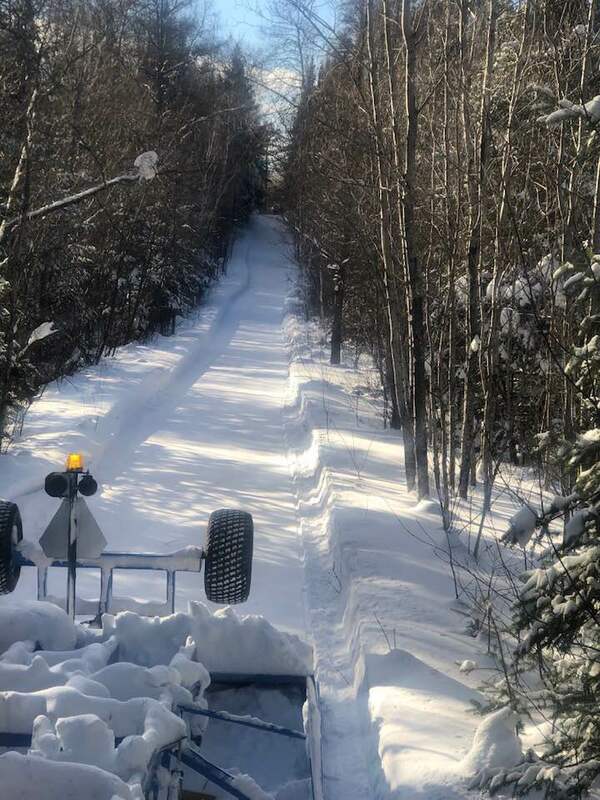 3-5-19 – Trails A, B, C, Kiddie and Shortcut were groomed and tracked. I attempted to groom D but after the first hill I kept getting stuck so that trail is not in the best shape at the moment. Depending on what happens this weekend weather wise it may or may not be groomed the remainder of this season. All the other trails though received multiple passes and are in excellent shape. There is still some small debris such as pine needles and leaves poking through the trail from all the wind. Received 6 “ of new snow. Will be groomed today. SNOW REPORT: Our trails are in perfect condition for fresh grooming. There are 3 inches of cold light snow on top of a hard packed base. The groomer was making tracks today and will be out again tomorrow.